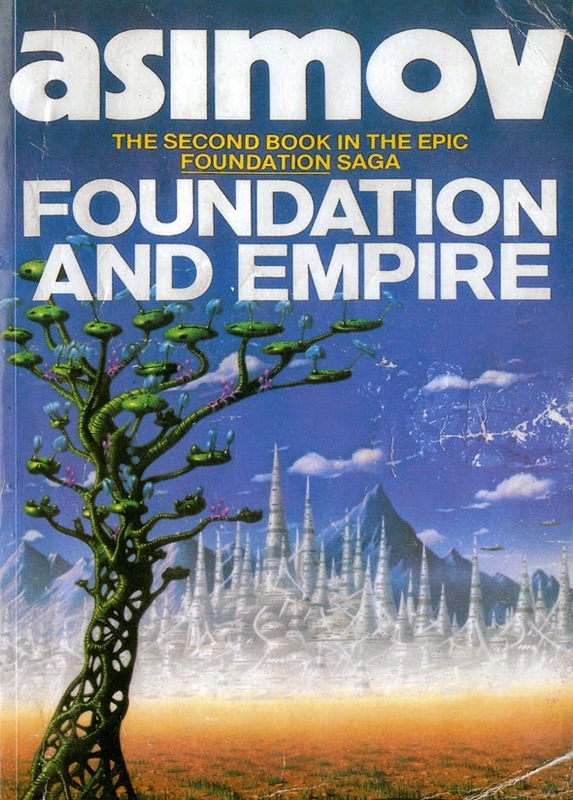 The second book of the series published, Foundation and Empire is divided into two halves. This was a much more intriguing read than Foundation and kept my attention much better, although there are no profound action scenes. The General; the first half of the book, follows the Empire’s attempt at destroying The Foundation. Something I found very interesting about this first half of the book, was how both sides of the conflict were at first only peripherally aware of each other. These two power houses of the galaxy, and their members, are just barely sure that the other exists. I feel this gives the reader a very practical view of just how big the galaxy actually is. However, I get the feeling that this section was drawn out, that the same story could have told in a much more sisynced manner. But as always, it was well written and the dialogue was extremely well done, if dry at times. The Mule half of the book introduces a character that seems unlike any other. The Mule is some kind of mutant, not unlike the Second Foundationers, who can sense and control the emotions of others. At first the people of the Foundation remain certain that he couldn’t possibly take them over without a fight, and if so, not for years. And while the civil unrest grows, they await the Seldon appearance in the time vault. Here I have a few issues; firstly they fiddle with the holograph chamber, something that Hari outlines as a “no-no” early in The Foundations beginning. Understandably, they would eventually develop the technology to do so, but one would hope that they understand how knowing the Seldon Plan would compromise its validity. Secondly, Seldon appeared twice since we last heard of him, and no one was watching?! It would seem prudent to view each of his holographs if for no other reason than seeing the man who set it all in motion. For as built up of an semi-idol as Seldon is, one would expect his followers to at least listen to him speak. However, in this particular appearance Hari was wrong. He could not calculate for the actions of individuals, and the Mule was certainly just that. So The Foundation is conquered, in one fell swoop. This seems to me to be, as they say, “too easy.” And I have little doubt the Seldon Plan will make a comeback; and we’ll have more answers as to why/how The Foundation could be so easily conquered. I suspect in the next book “Second Foundation“, the Second Foundation will make a sudden appearance and save the day. However, the balance between saving the day and remaining unknown to the First Foundation, will prove to quite a challenge. Onto number five!